My second craving was for a nice big steak. Finding a nice cut for a reasonable price in Japan is quite a challenge so I dropped by Fleming’s with my parents for the Prime Rib Dinner. 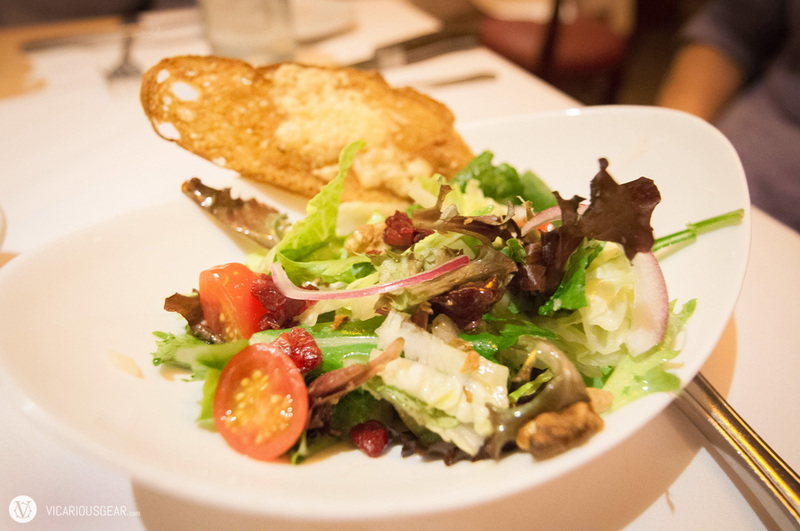 While Flemings doesn’t have the character (and arguably the flavor) of famous NY joints like Sparks and Peter Luger, the excellent service and really reasonable prices get the job done. Not pictured below is dessert number three, a huge slice of cheesecake. Believe it or not, vegetables are a sort of rare thing to come by in Japanese cuisine, making a nice big salad a welcome part of this meal. 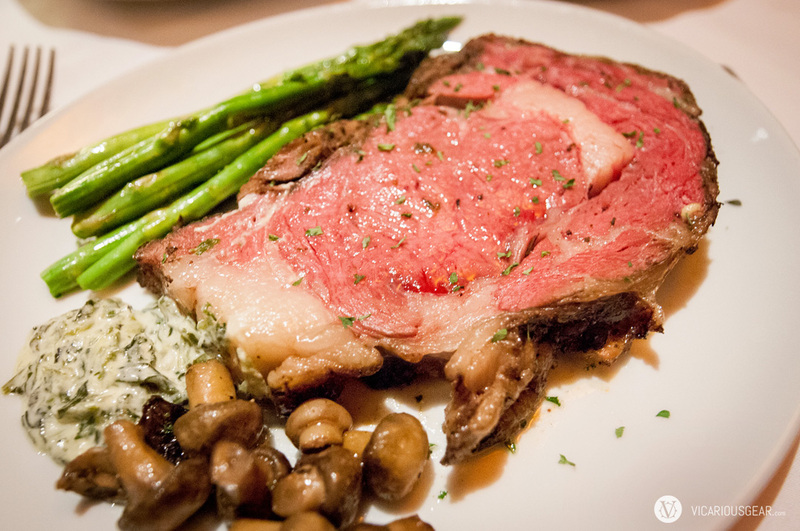 Prime rib, the main attraction. The sides were actually served on separate plates in portions 4-5 times the size of what you see here. I can never resist buttery mushrooms and creamed spinach. 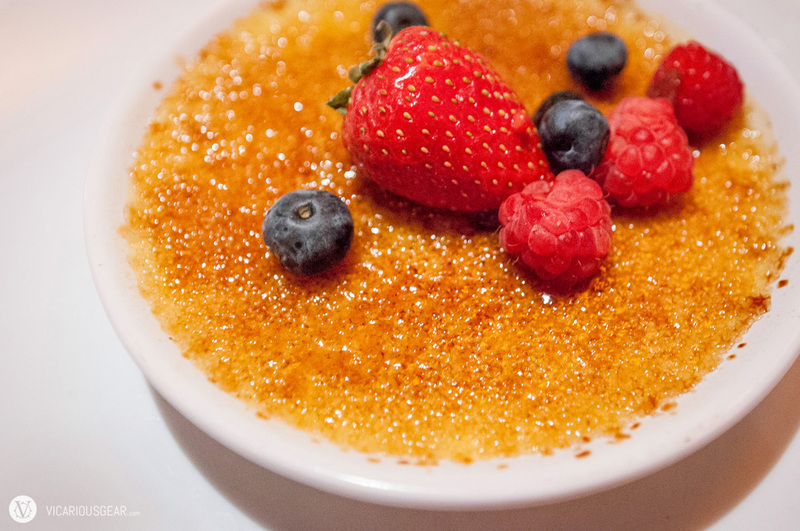 Dessert 1: Crème brûlée. Pretty standard. Dessert 2: Belgian chocolate lava cake with vanilla ice cream. 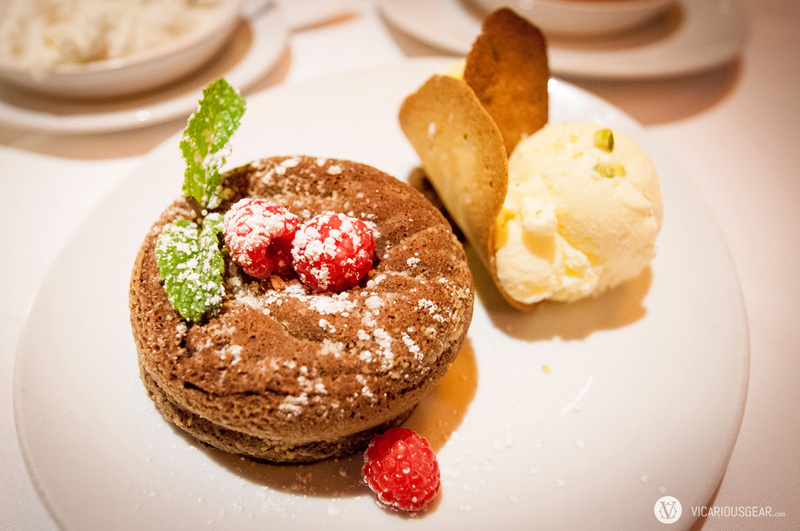 Best memory I have of lava cake is still from Chart House in San Francisco (or my Mom’s version) before it started appearing on menus everywhere.